With topics that range from wind energy to non-traditional meats, this program focuses on ag topics for the consumer and those in agri-business. Kansas doctors and healthcare professionals answer medical questions in this live call-in program. Get to know the Kansas candidates running for national and state government. Kansas representatives and senators discuss state issues. Order DVDs of 8-Man State Championship games. 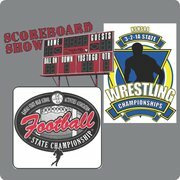 Follow the action of the 3-2-1A State Wrestling Tournament and purchase DVDs. 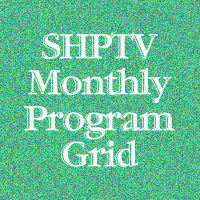 Smoky Hills Public Television produces a variety of special programs including political forums, interviews, pageants and concerts. Tells the World War II-era story of the B-29 and the airbases located in Walker, Great Bend, Salina and Pratt. This documentary takes a look at the 1930's Works Progress Administration and how its legacy lives on in Kansas. This program takes a look back at the "dirty '30s." Documentary on the "The Orphan Train Ere" -- when more than 200,000 destitute children were relocated to the Midwest. Ulysses, KS hosts this annual pageant where a group of young women compete for the crown and a shot at the Miss Kansas title in June.